Each week, eleven IndyCar bloggers come together to power rank the IndyCar field after that weekend’s race. The guys over at WFOpenWheel set this system up and have let Single Seater’s founder, Drew Bennison, have a say in the rankings. WFOpenWheel sends out a survey to a group of dedicated IndyCar bloggers and the site’s own IndyCar experts following every race. On the survey, each participant ranks every driver from first to last. Drivers are then awarded points on a scale based on the IndyCar points system. Drivers accumulate points over time, making it more difficult to move up the ranks. Once all participants have taken the survey, points are totaled, and the finalized rankings are calculated. You can view the current power rankings in full here. Formula One heads to Malaysia on Sunday with Lewis Hamilton in control of the points so far. The Briton won the event last year on his way to claiming his second world driver’s championship. He’ll be looking for more of the same this year. Mercedes showed clear dominance in the opening round of the 2015 season. Hamilton and Nico Rosberg beat the entire field by over 33 seconds and no other car besides the Mercedes duo led a single lap. Not one. Sebastian Vettel drove an impressive race for Ferrari and picked up 15 points for the team. Vettel has won the Malaysian Grand Prix three previous times. Reliability, as predicted, was a huge issue for teams before the race even started last week. Kevin Magnussen, Daniil Kvyat, Pastor Maldonado, and Romain Grosjean failed to complete one lap of the race due to mechanical failures. They were joined by Max Verstappen and Kimi Raikkonen on laps 32 and 40, respectively. Both of the Manor Marussia cars and Valtteri Bottas failed to start the race. Malaysia should be another walk in the park for the silver arrows. Valtteri Bottas and Fernando Alonso are expected to return, but the McLaren has been way off the pace and judging from Australia, the Ferrari will be more of a competition to Mercedes than Williams will be. Pat Symonds even said so earlier this week. Felipe Massa managed a fourth place finish last week after a retirement from Kimi Raikkonen. The notoriously high temperatures we see each year at Sepang could also spark reliability concerns this week. Five cars retired from last year’s Grand Prix due to reliability issues. They were mainly engine and brake issues. McLaren’s tightly packaged aero design won’t have an easy time in Malaysia. And they may be forced to turn down their engine power again just to get through the race. Saturday will be an important day in deciding who comes out on top in Malaysia. Out of the 16 Formula One races that have been run at Sepang (dating back to 1999), the winner of the race has started on pole nine times. Furthermore, 14 of the winners started in the first two rows. The only drivers to start from further back are Raikkonen (P7, 2003) and Alonso (P8, 2012). Malaysia is a tough track to win at if you don’t start up front. After the Australian Grand Prix, Christian Horner said that he wants the FIA to change engine and car regulations to rein Mercedes in. Horner said that “the FIA, within the rules, have an equalization mechanism; I think it’s something that perhaps they need to look at.” Renault’s power unit, which was said to be improved from 2014, had a poor showing in Australia. Do you think the FIA should help equalize the competition to make the sport more exciting? Let us know in the comments below. 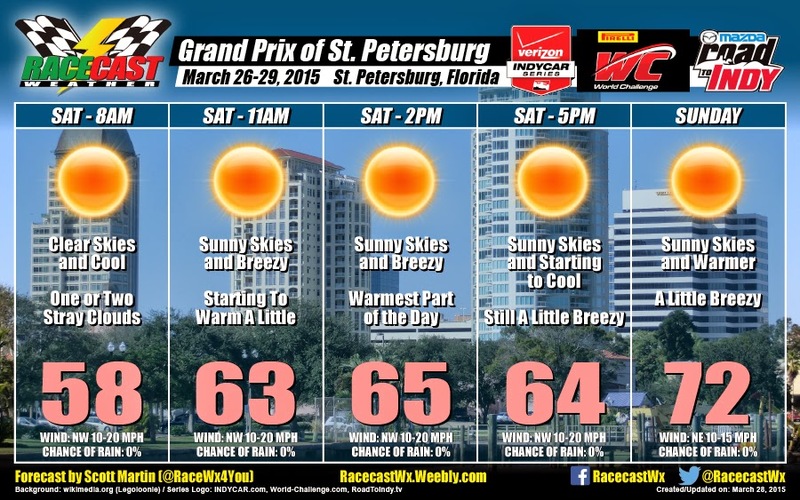 The IndyCar season gets started this Sunday on the streets of St. Petersburg. It’s the start of the battle for the 2015 championship which Will Power will hope to win for the second year in a row. Single Seater will be trying something new for the race. In addition to our race notes which will come out on Saturday, we will host a live blog for the race itself. But no, this won’t be your average, generic live blog. At Single Seater, we are devoted to data journalism and statistics, and that’s exactly what our live blog will be like. Turn on the TV and pull up our stat-based live blog as a nice supplement. Instead of just highlighting what’s going on in the race, our live blog will talk about statistics, race strategy, and other interesting topics surrounding the race. We’ll talk about tire data, caution stats, and why Will Power pitted when he did. If you have any questions throughout the race, you can leave them in the comments during the live blog and we’ll try our best to answer them for you!